Greece has contributed immeasurably to modern life and culture, introducing democracy, architectural design, mathematical deduction and much more to the world. But we reckon our favourite thing pioneered by the Grecian people is their brand of Mediterranean cooking. 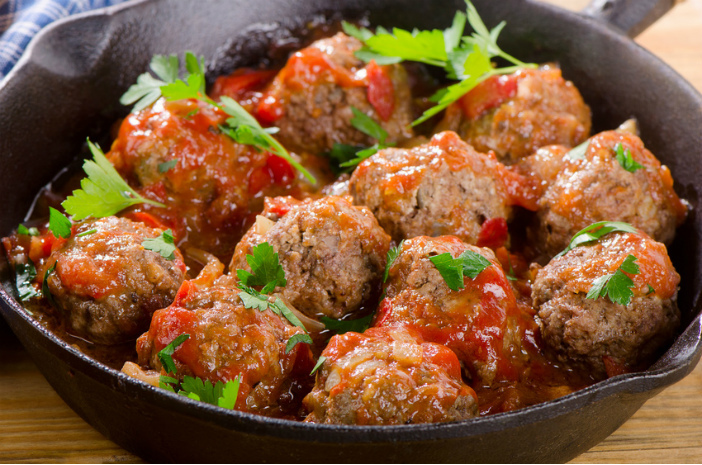 Bearing some of the classic hallmarks of Italian, Balkan and Turkish cuisine; Greek food is rich with meat, fish, veg, wines and olive oil – creating some truly outstanding dishes. So to honour the ancient art of Greek cooking (some of the nation’s culinary traditions date back a staggering 4,000 years), we are opening up the Taverna doors and exploring the nation’s cuisine. Whilst a cruise around the beautiful islands of Greece are typically focussed around doing as little as possible, the capital Athens is a completely different kettle of fish, with plenty to see and do. With this in mind, the quintessential Athens food experience is a kalamaki on-the-go. 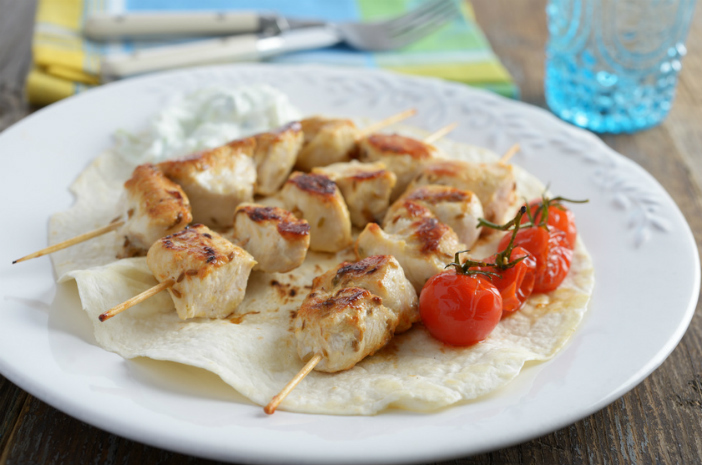 Sometimes referred to as souvlaki in other parts of the country, kalamaki (which literally translates to small reed) consists of grilled pieces of chicken, pork and or lamb either on a skewer or wrapped in a pita bread with onions, tomatoes, tzatziki and tomato sauce. Kalamaki is the perfect form of sustenance when you’re racing between the Acropolis, Parthenon and Temple of Olympian Zeus, and the ideal disguise if you’re trying to fit in with the locals. And even though it sounds a little like something you’d pick up from a takeaway after a night on the vino, the Athenian locals have perfected the art of grilling and flavouring kalamaki so it is grease-free, succulent and delicious. You will happen upon almost endless kalamaki vendors when journeying through the ancient Greek capital, but there are a few eateries which stand out above the rest serving the very best street food in all of Athens. Almost anything tastes good when you’re on the paradise island of Santorini, with the beautifully stacked famous white houses and blue rooftops creating an almost appetising backdrop. But tasked with picking one foodstuff to enjoy during a trip to this island, we had to opt for tomato gefthedes, or tomato fritters to anglicise their title. The island’s absolute abundance of deliciously ripe tomatoes means that tomato gefthedes are never in short supply. The beautifully fried up tomato cakes with flavours of mint, basil, parsley and oregano swimming through make the perfect accompaniment to any meat or fish dish. Holidaying on Santorini is all about indulging in food and wine, whilst drinking in the spectacular views. 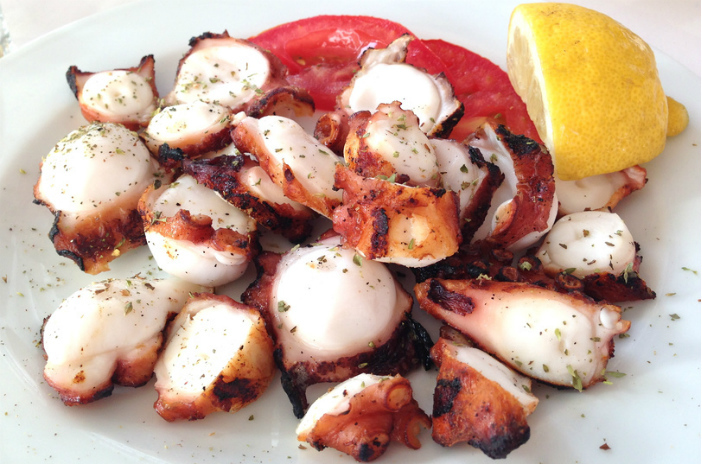 Like any self-respecting sun-soaked island, Mykonos boasts a wealth of beautiful seafood options. From cuttlefish for the daring to prawn and spaghetti dishes for the more reserved seafood fan; the island’s restaurants serve up an absolute bounty of palate-pleasing treasures of the sea. All freshly caught, and often prepared before your eyes; Mykonos’ seafood offerings are heavy on taste but often light on the stomach. 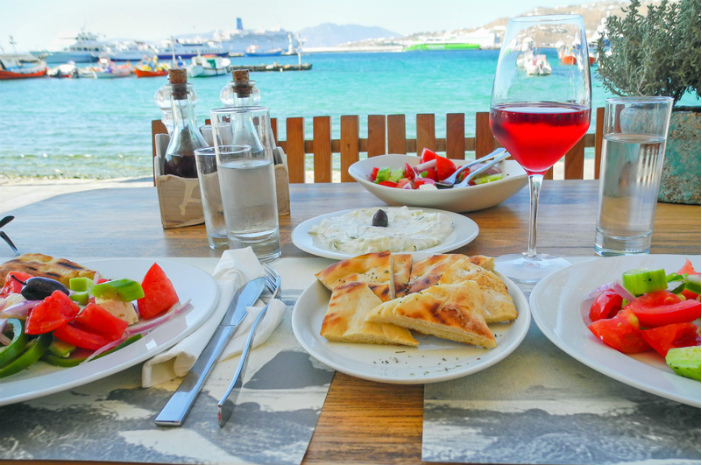 You certainly won’t struggle to find wonderful tavernas offering incredible seafood dishes whilst staying in Mykonos, so we’ve picked three of our favourites to help whittle down your choice. Going hand-in-hand with their invention of democracy, the Greeks are amongst the oldest wine-producing nations in the world, with a history of viticulture dating back 6,500 years. So important was wine to the ancient Greeks, they even worshipped Dionysus, the god of wine. Crete, Greece’s largest island, is one of the nation’s most prolific and best-loved wine-producing regions. The red wine-producing grape varieties, Mandilaria and Kotsifali, are the most commonly found grapes on the island – contributing to many of the wines produced by the big vineyards and locals alike. Wonderfully piquant, and exasperatingly cheap, a carafe of the local wine is an absolute must when dining or relaxing with friends on Crete. Although just about every eatery on the island will provide you with a bottle of the local plonk, the island’s wineries are the perfect place to learn a little about the wine production whilst supping a variety of different vintages. Here are three vineyards providing tours which we would fully recommend. So, if you are looking to foodie tour around Greece, Cruise1st proudly stocks a selection of great offers. For more information, visit our Greece cruise page or give our dedicated team a call on 0808 274 6777.